Aren't they pretty? 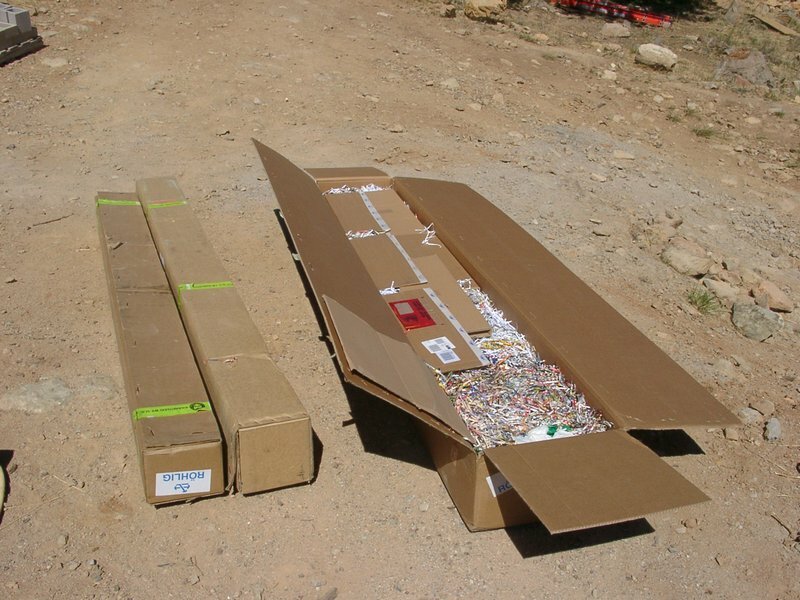 The box on the left contains the OptiBeam OB2-40, and the two boxes on the left hold the OB16-3. The cardboard is really stout stuff and the packing material held everything amazingly well in place for the long journey from Germany to Arizona. A smaller box not shown in this picture that contained the saddle clamps and hardware for the OB16-3 was damaged in transit by some goon working for the airline. It had a huge hole in it, but the packing material was so dense that not a single item was missing. 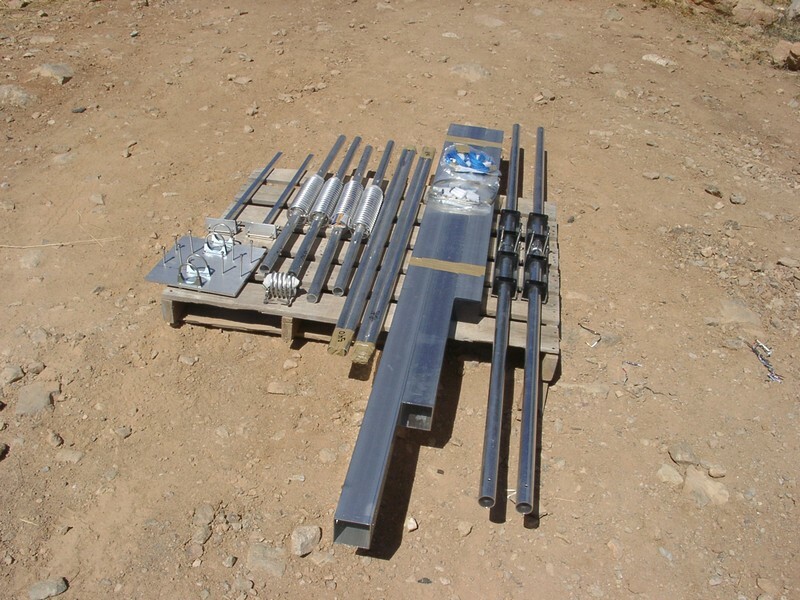 These are the components of the OB2-40, some of which (the loading coil sections and the element-to-boom supports) have been pre-assembled by OptiBeam. 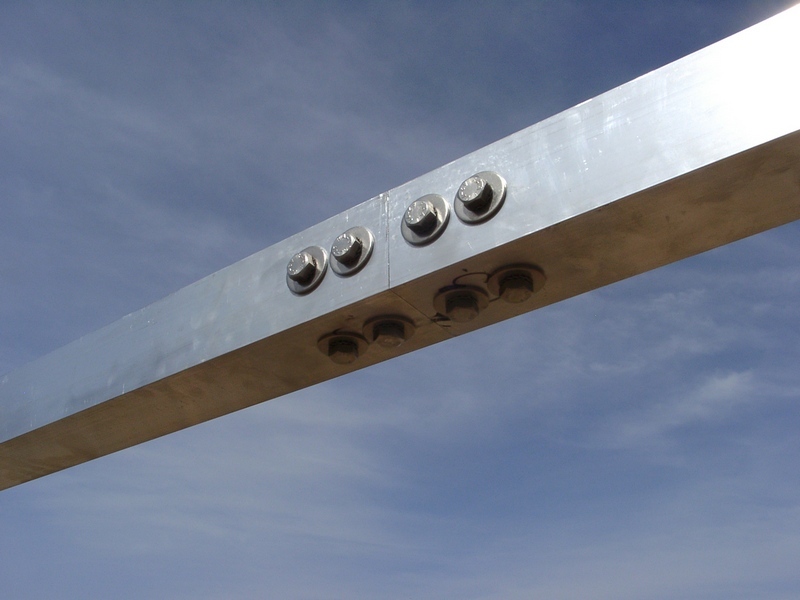 The boom sections are square, measure three inches on a side, and are joined by massive machined splices. This is how the boom sections look when joined. The splices are inside the joint. I clamped a couple of 2x4's to the tower and rested the OB2-40 boom on it. I attached the element center sections to the boom and then added each half of both the driven element and the reflector to the center sections. The truss lines attach quite easily, as do the wire decoupling stubs. 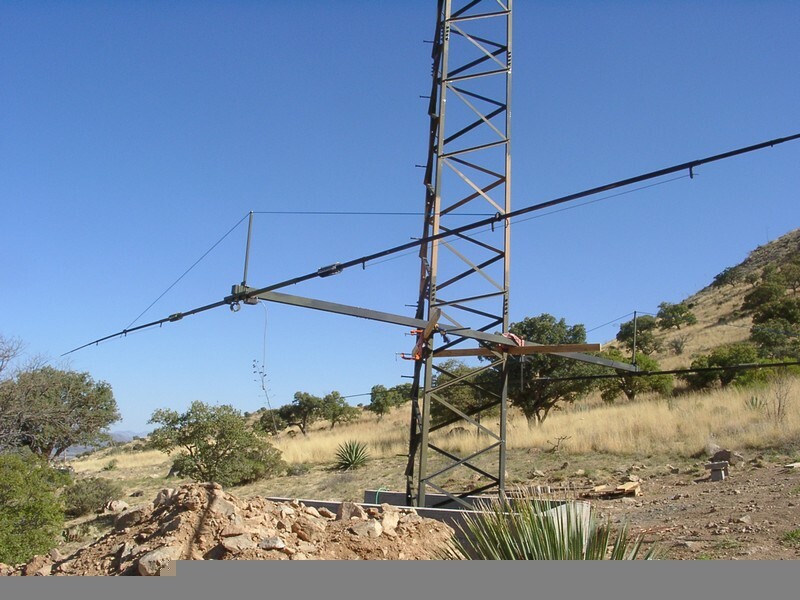 And yes, I painted this antenna with flat, dark camoflage colors just like the tower and will do the same thing to the OB16-3.